22/03/2018 – The Induction Programme of Mongolia into the Global Forum on Transparency and Exchange of Information for Tax Purposes was launched with the visit of a team from the Global Forum Secretariat and the Asian Development Bank (ADB) on 13-15 March 2018. Mr. Dónal Godfrey, Deputy Head of Secretariat and Ms. Kaelen Onusko, Tax Policy Analyst together with Mr Yuji Miyaki, Public Management Specialist and Ms Sissie Fung from the ADB visited Ulan-Bator to launch the induction programme. Mongolia became a member of the Global Forum in January 2018. The delegation met with key Government stakeholders including the Ministry of Economy and Finance. The Mongolian authorities confirmed Mongolia’s commitment to the international standards and their determination to ensure a rapid implementation of these standards in Mongolia. The induction programme is designed to help new members of the Global Forum ensure a smooth implementation of the international standards and benefit from exchange of information in their domestic revenue mobilisation. 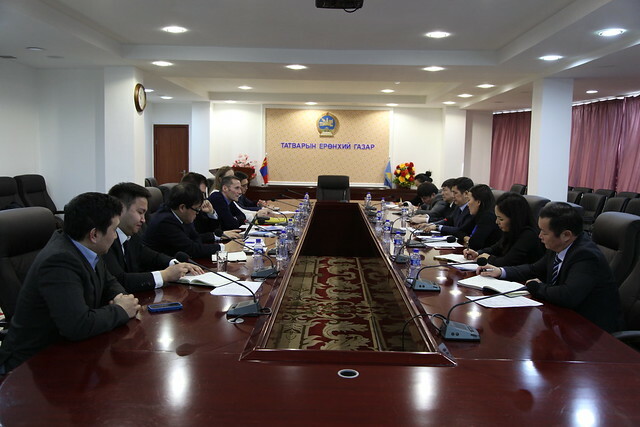 The delegation also included Mr. Tomas Balco, Head of the OECD Transfer Pricing Unit, who launched a Programme to assist Mongolia in the implementation of the new international standards, namely the BEPS package with a focus on Country-by-Country Reporting and the other BEPS minimum standards. Mongolia will be reviewed against the standard of exchange of information upon request (EOIR) in 2020/2021. The induction programme will enable Mongolia to prepare its EOIR peer review and also take steps toward the implementation of the automatic exchange of information standard. Mongolia will also receive assistance to join the Convention on Mutual Administrative Assistance in Tax Matters and to train its auditors in the utilisation of exchange of information during tax audits. During the visit a one-day sensitisation seminar was also held to raise awareness of 40 participants from various Government agencies and the financial sector on the international standards of transparency and exchange of information for tax purposes and their implications and opportunities for Mongolia in the fight against tax evasion.